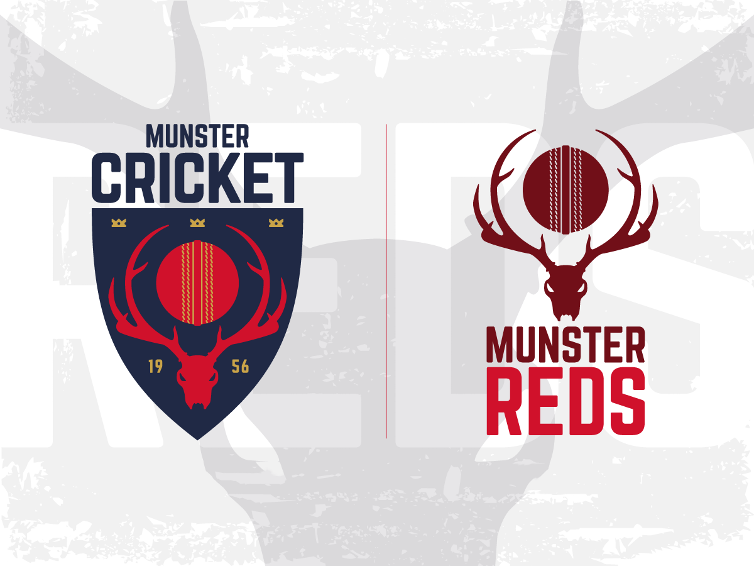 It's been a phenomenal 2018 season for the Munster Reds, who earned their first ever victory in the Hanley Energy Interprovincial T20 competition, before two days later taking the scalp of defending champions Leinster Lighting. The Reds began their season with a 'home' game played in Pembroke CC. Set 161 to chase, a batting collapse saw the Munster Reds go down leaving a few regrets in the dressing room, but a good opportunity for the players to get together for the first time. Yaqoob Ali - whose figures of 4-29 saw him the pick of the Reds bowlers in that defeat. From 46-2, the Reds found themselves at 56-7, denying any chance of a shock against the Lightning, who were restricted to just 160 in their innings. One bright spart for the Reds was the determined innings from Limerick's Murtaza Sidiqi. The all-rounder has impressed with both the Munster Heat and his own club in the All Rounder Premier Division, and played some cracking shots, including a big six over long-on. Next up was the long trip to Eglinton to take on the North-West Warriors, a side that have recently won the three-day competition, and look to be providing some serious opposition to Leinster's dominance. Again the Reds left themselves down with the bat. On a glorious day in the outskirts of Derry, the visitors just couldn't build any momentum, with regular wickets falling and the top five getting themselves in, without going on to make a big score. That lack of an anchor innings hurt Munster, who knew that their 129-8 was going to be extremely difficult to defend. They did their outright best however, and after the Warriors got off to a rapid start, two quick wickets of Stuart Thompson and David Rankin stopped the northern outfit in their tracks. Irish test pair William Porterfield and Andrew McBrine came to the crease, and were taking their time to tick away the runs. By the time McBrine was trapped lbw by David Delany, the pressure ramped up, and after young Cork County spinner Diarmuid Carey took his first IP20 wicket - Porterfield holing out in the deep - there was a glimmer of hope for the visitors. Aaron Gillespie was clean bowled by Max Sorensen, with the Reds taking it to the last over, but Graham Kennedy and Ricky-Lee Dougherty knuckled down to chase down the target, as the Reds gave the Warriors a real fright on their home patch. Back down to Cork two weeks later, as Munster got the chance to stage their only true home game at the Mardyke, as newly appointed T20 captain Gary Wilson stole the show. A booming 80 off 45 balls gave the Munster crowd, and some of the younger Heat players in attendance, a taste of the standard required to be a professional cricketer, well assisted by Greg Thompson 50* (31) as the Knights posted an intimidating 195-5. It was a huge score, and after captain Jack Tector and Jamie Grassi departed early, the large crowd watching on feared the worst. However, Stephen Doheny had been in fine fettle at club level, and set off alongside Max Sorensen to try and change the Reds’ fortunes around. Doheny made his 50 with the Reds creeping towards the 100 mark, and Sorensen should have followed him soon after, only to be caught off Eakin’s bowling for 48. That fourth-wicket partnership was worth 86 however, and put the Reds right back in the game. Unfortunately the momentum couldn't be seized on by the middle-order, as the Reds ultimately finished on 156-6, falling 39 runs short, but leaving a lasting impression on the Cork public ahead of the festival weekend three weeks on. The Reds had early billing on the Friday, playing against Andrew McBrine's North-West Warriors at 11am, who were taken to the last over by Ted Williamson's side in the reverse fixture at Eglinton a few weeks ago. This time Munster were back at Pembroke, and having won the toss and sent the Warriors into bat, they had an early breakthrough, as Porterfield hit the final ball of the game's first over right into the hands of Ruadhán Jones. And regular wickets saw David Rankin, Stuart Thompson, and William McClintock fall, with the Warriors reeling on 16-4. An excellent partnership between captain McBrine and Aaron Gillespie saw the latter top score with 80*, as eventually the Warriors set their southern opponents 163 to chase. A chase that started well, with Doheny well assisted by YMCA's Oliver Gunning, making his first start of Munster, before departing on 17 with the Reds on 31-1. It was Doheny's first time opening the batting for the Reds, and despite losing Nicolaas Pretorius - bowled by Thompson - not long after, he took the role nicely, as Robert Forrest joined him at the crease with four overs on the board. Over 10 overs and 92 runs later, Forrest was eventually caught by Thompson off Kennedy's bowling, but not before Rush's Doheny charged to his half-century in 35 balls, as the Reds needed another 35 runs to get over the line. When Doheny was eventually caught in the covers by Craig Young off McBrine's bowling for 64 (43), the necessary 13 runs left looked a bit awkward, but incoming David Delany's professional cameo alongside Max Sorensen 19* (9) saw Munster over the line with three overs to spare, capturing their first ever List A win. A heavy defeat to the Northern Knights followed, but the Reds would finish off their festival weekend in some style on the Sunday, as they faced a Lightning side that have absolutely dominated this form of the game over the past number of years. This time it was Oliver Gunning (53 off 31) and Nicolaas Pretorius (48 off 28) that carried their bat with distinction, as the Reds set the Lightning an intimidating 190 to chase, a target that looked extremely difficult, even on a fantastic surface at Pembroke. It went right down to the wire, even when the game was out of Leinster’s reach needing seven from the final ball, Barnes’ no-ball ensured there would be further drama. But Munster held out for an astonishing two run victory to cap off a fantastic weekend, and a historic season for the province at Interprovincial level.